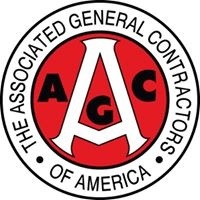 (Washington, DC) — (RealEstateRama) — Thirty-seven states added construction jobs between February 2018 and February 2019, although construction employment increased in only 16 states between January and February, according to an analysis by the Associated General Contractors of America of Labor Department data released today. Association officials said the slowdown may reflect the impact of widespread severe weather on construction last month as well as a growing shortage of qualified workers, and they urged federal officials to allow contractors to hire year-round construction guest workers while protecting American jobs and reducing incentives for individuals to enter the country illegally. Texas added the most construction jobs over the year (22,700 jobs, 3.1 percent), followed by Florida (22,400 jobs, 4.2 percent), Arizona (16,500 jobs, 10.7 percent), West Virginia (16,000 jobs, 46.4 percent) and Georgia (14,600 jobs, 7.6 percent). West Virginia added the highest percentage of construction jobs over 12 months, followed by Nevada (11.7 percent, 10,200 jobs), Alaska (11.0 percent, 1,700 jobs), Arizona and Wyoming (10.1 percent, 2,000 jobs). Construction employment reached a record high in Oregon and Pennsylvania. Thirteen states and the District of Columbia shed construction jobs over the latest 12 months. The largest decline occurred in Louisiana (-5,500 jobs, -3.7 percent), followed by South Carolina (-3,800 jobs, -3.6 percent) and Missouri (-3,000 jobs, -2.4 percent). Maine had the steepest percentage loss of construction jobs over the 12-month period (-6.8 percent, -2,000 jobs), followed by Vermont (-5.8 percent, -900 jobs) and South Carolina. Among the 16 states with one-month construction job gains between January and February, Georgia added the most (2,300 jobs, 1.1 percent), followed by Florida (1,900 jobs, 0.3 percent), Arizona (1,600 jobs, 1.0 percent), Pennsylvania (1,300, 0.5 percent) and Kentucky (1,000 jobs, 1.3 percent). Alaska added the highest percentage of construction jobs for the month (3.0 percent, 500 jobs), followed by Kentucky, Georgia, New Hampshire (1.1 percent, 300 jobs) and Arizona. Construction employment decreased from January to February in 33 states and D.C. and was unchanged in Vermont. California lost the most construction jobs for the month (-7,700 jobs, -0.9 percent). The largest percentage losses of construction jobs—3.0 percent—occurred in Delaware (-700 jobs) and Minnesota (-3,800 jobs). Association officials said the record number of job openings in construction shows the urgency of allowing contractors to bring qualified guest workers into the country along with strict safeguards for American jobs and reduced incentives for individuals to enter the country illegally. They called on Congress and the president to enact legislation such as the recently introduced Workforce for an Expanding Economy Act.